Download this episode my entire kernel module sample code, make file, clean script HERE. 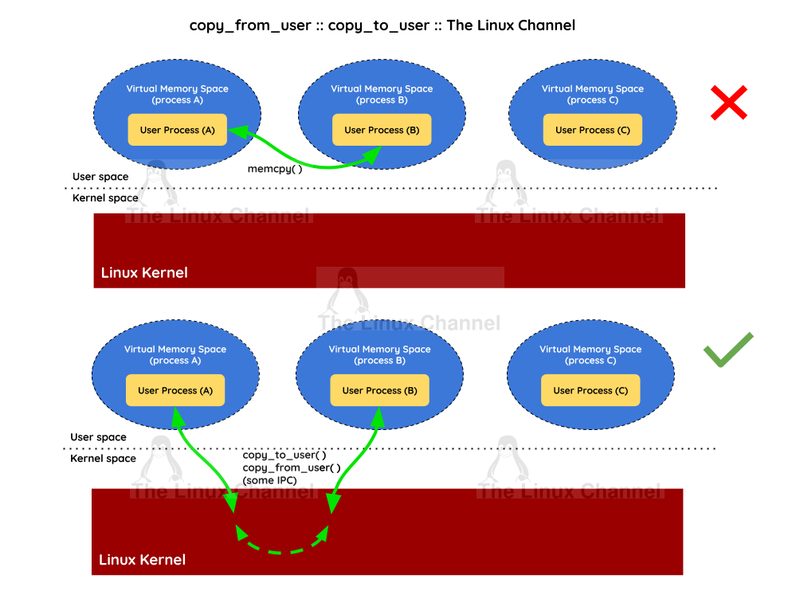 As discussed in the video (Episode 4), we cannot use memcpy() to communicate between user-space applications (processes). Since each process has its own virtual memory space. 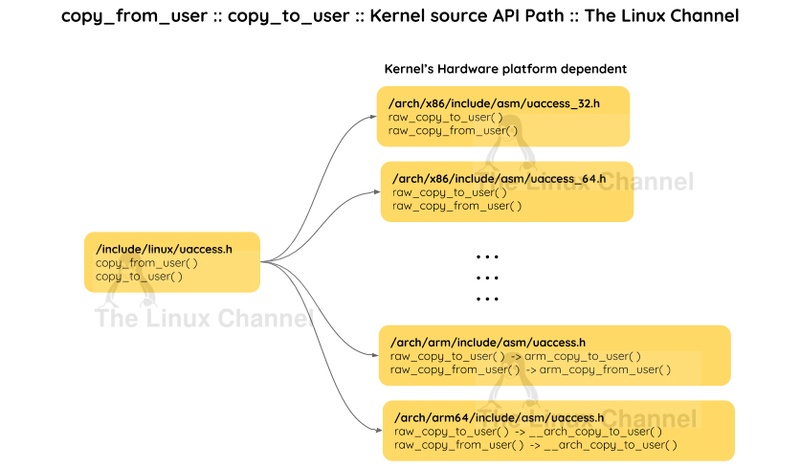 Instead we need to use standard Linux predefined IPC (for example: sockets, message queues, pipes, signals and so on), which in turn built via APIs such as: copy_from_user() and copy_to_user(). 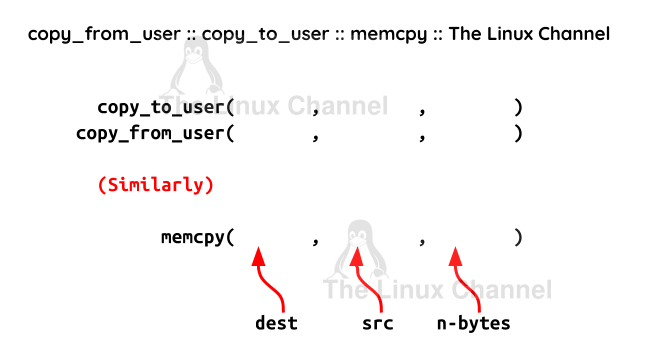 Notice: copy_from_user() and copy_to_user() looks similar to memcpy() in terms of their function arguments.